We can design your business card for you or you can provide us with your design. 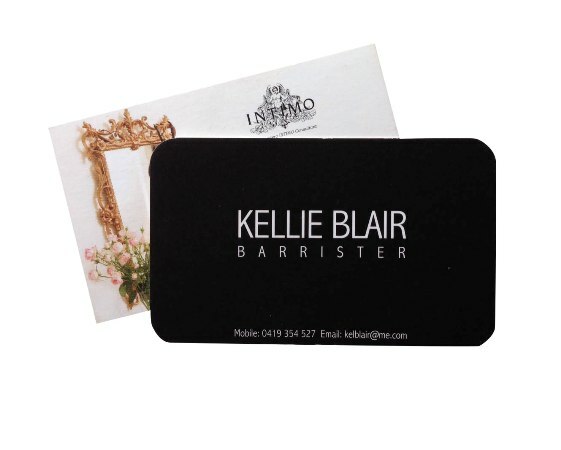 You can maximize your branding and corporate colours on both sides of the card. At Ooga Booga! Designs we offer a vast variety of marketing, advertising and promotional products and services and although thorough attention is made to design elements such as colour codes and design form and structure some inaccuracies may occur due to variances in products provided by external suppliers such as, inks, fabrics, vinyl’s, printers, blocks etc. Ooga Booga! Designs is not liable for these variances that may occur and therefore we strongly recommend that a Style Guide is provided. Please ensure you check all design briefs thoroughly before approving artwork. If you have any further queries please contact your Ooga Booga! consultant for more details.